Technology governs nearly every aspect of car manufacturing today. As machines get smarter, humans become less necessary to even put mechanical parts together. Soon, all a person will have to do is drive up to a service center, and computers will be doing all the work with precision far greater than that of human hands. In fact, as the on-board computers built into cars become more sophisticated, this type of repair process will become easier to facilitate. Before you know it, your car will be able to go online and make its own replacement engine request, but will technology ever be clever enough to entrust with doing the driving for humans? In a technical sense, the technology that allows a car to drive itself all over the place is already here. Computer programs that are able to plot a course, navigate around obstacles in the road, and locate destinations are not really all that new technology. Perhaps one of the largest obstacles preventing humans from allowing their cars and trucks to take the wheel is how far people trust this technology. Getting an automobile to drive itself is just one step in the process of unleashing self driving cars and trucks to roam the streets en mass. Another step in this lengthy process is ensuring that such automobiles are technologically advanced enough to perform, using judgment that is equal or better than a human driver. In many circumstances, this level of automation is also easily demonstrated. A computer, for example, can judge distance far more accurately than a human. With processing power that can triangulate precise distances at every point along a trajectory, a car not only estimates precisely how far an object is as it approaches, but it can also determine with certainty when the best time to apply the breaks is to avoid a collision. A computerized car can handle GPS telemetry as if it were an inherent sensory avenue, much like humans handle sight and sound. This means a car could potentially way outperform humans in horrible driving conditions, such as when a driver is blinded or loses concentration. Such instances become even safer if autonomous vehicles are able to communicate with other nearby vehicles, helping each other to properly navigate when visual telemetry is not available. According to writer Frank Griffin at TMCnet.com, the state of California is already allowing autonomous car manufacturers to obtain permits for their autonomous cars. With the Google Car project grabbing up the majority of the permits offered, this gives them the opportunity to put their technology to the test on the roads without being an issue with California state authorities. Testing this technology on actual streets ends up being a huge step forward towards making this technology available to other consumers in the not so distant future. 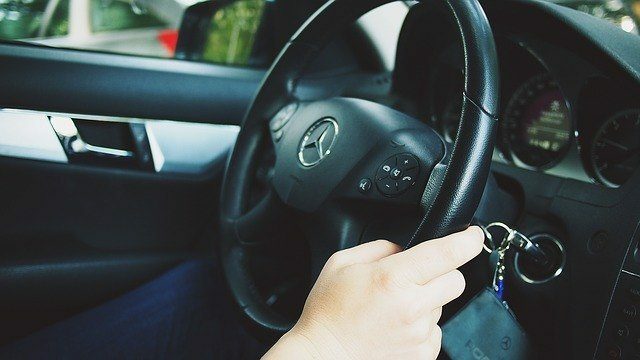 This means that the days of losing one’s license to drunk driving, old age or disability may truly prove to be a thing of the past and also a huge boost to the revenue streams of modern car manufacturers within the automotive industry.